Home Blog Tabletop magazine board game convention. Written and photography by Hubert Hung. 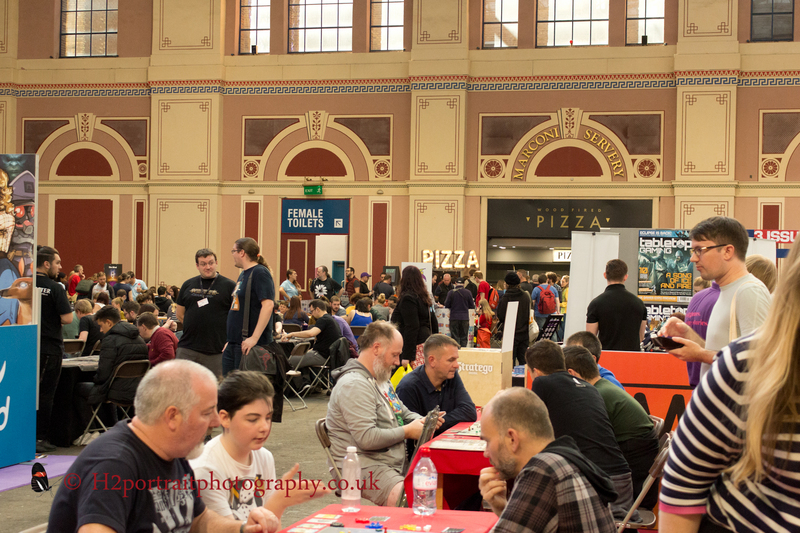 The inaugural Tabletop Board game convention at Alexandra Palace, London. 29th September 2018. 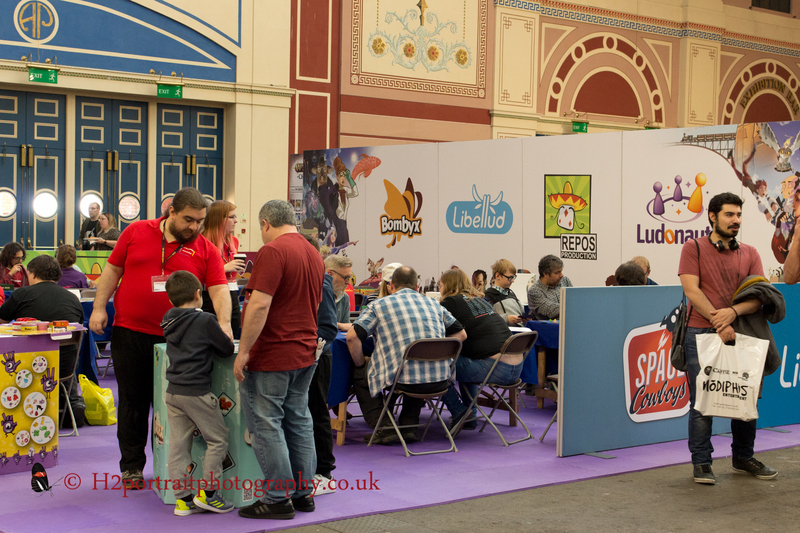 This was our third board game convention of 2018. The previous two being Airecon and the UKGE. The latter is the third largest in the world. 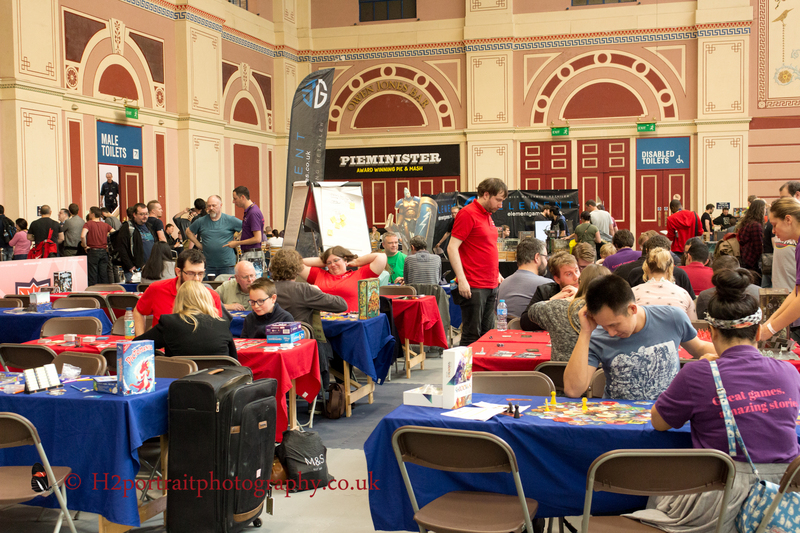 Airecon is our local convention in Harrogate, but also the largest playing board game focused one in the country. 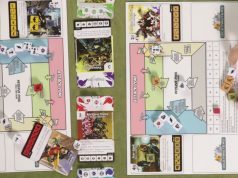 Board game conventions tend to fall into two camps, ones focused on selling or promoting games or those with an emphasis on playing them. The Tabletop magazine one was the former. From the exhibitors list, we knew roughly what to expect. The parking was free and a short walk from the old picturesque building. We arrived about 10am and walked straight in. 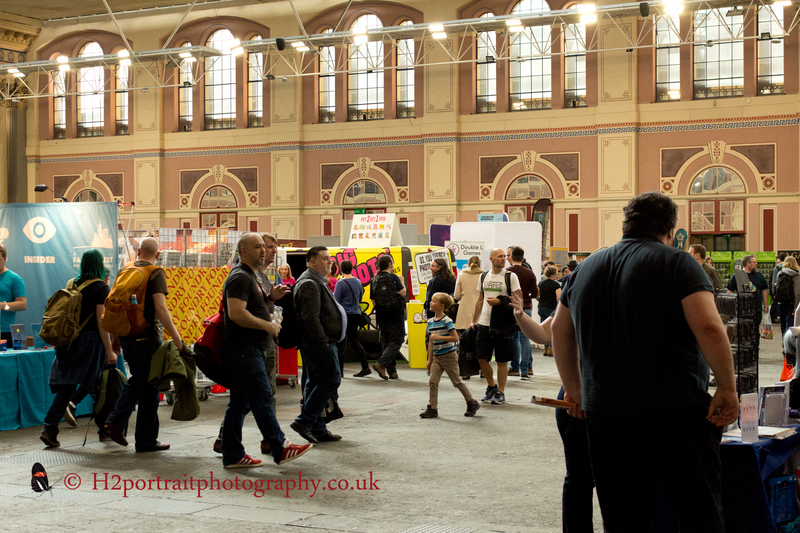 There was no queue and the place was buzzing with activity, but not to the extent as the UKGE. We had a plan to see a number of publishers and see what was on sale at the various vendors. We were pretty relaxed as we wandered around. There was not the pressure of the UKGE. That was packed with publishers showing-off their games or promoting those that they wanted you to crowd fund and vendors. 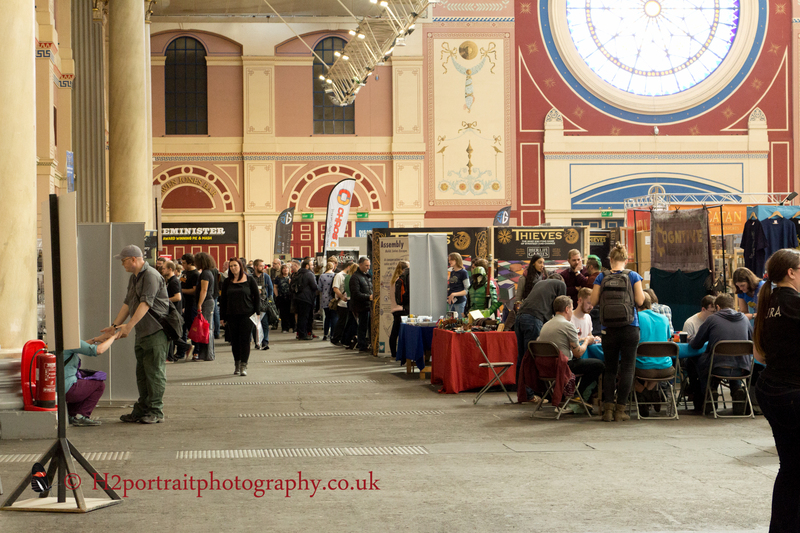 One of our observations was there were a number of stalls selling war gaming related products. This is something neither of us are interested in. We were more interested in hunting down a the cheapest copy of a game we could find. Jared ended up buying “Great Western Trail” after visiting a number of stalls. I bought one later “Ascension – Delirium”, from the same vendor, as they were the only one selling this game and it was a little cheaper than buying it off their website. I was also on the hunt for ‘Shards of Infinity’, but no one had it for sale. Jared was taunted by ‘Altiplano’ and its expansion a game he would like to have in his collection. 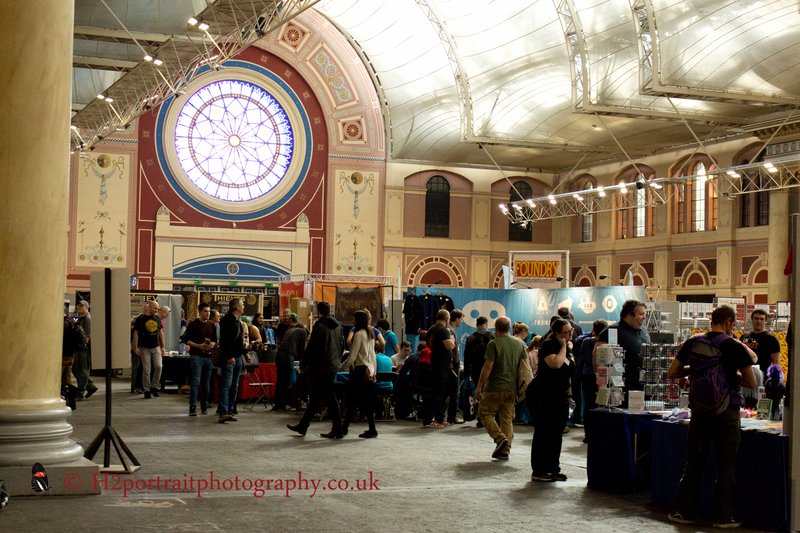 We were surprised how much smaller most of the vendor’s stalls were compared to the UKGE. Some were not carrying as much stock at all. Apart from perusing the vendors, our main purpose for being there was to talk and build business relationships with publishers. If they send us one of their games, we would play and then review it. 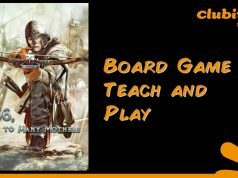 We put together a tutorial/review and a playthrough video as well as an accompanying comprehensive written review (there are a number on this site). Spot Chris Marling game designer. This being our third convention, a few vendors recognised me. I even ran into Chris Marling the co-designer of “Pioneer Days” and the soon to be on sale, “Witless Wizards”. We met at Airecon this year within the first hour of the first day. 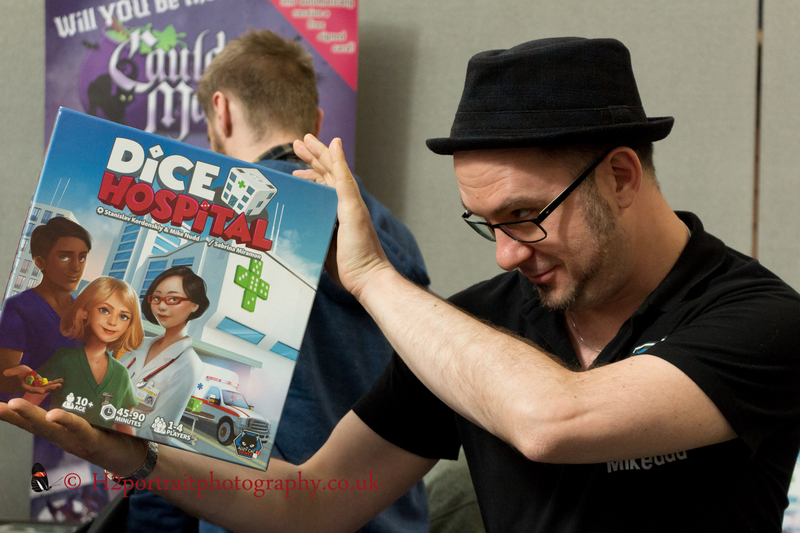 Another familiar face was Mike Nudd sporting his hat and new game “Dice Hospital”. We are looking forward to this game (he writes with a big grin on his face). Mike Nudd co-designer of Dice Hospital showing-off his creation. Alley Cat games was one publisher we wanted to talk to. We are excited about a number of the games they are about to release. “Pocket Pharma” (this caught my interest because I have chemistry degree) and a pirate themed deck-builder called “Ruthless” (I tend to like these kind of games) plus the aforementioned “Dice Hospital”. They also have game called “Coral Islands” that was not there. In this game you stack dice to form coral islands. This is all I know about this one. Personally, I think this is an up and coming publisher you need to keep your eyes on. Jared found a couple men promoting a game called “Book of Beasties”. 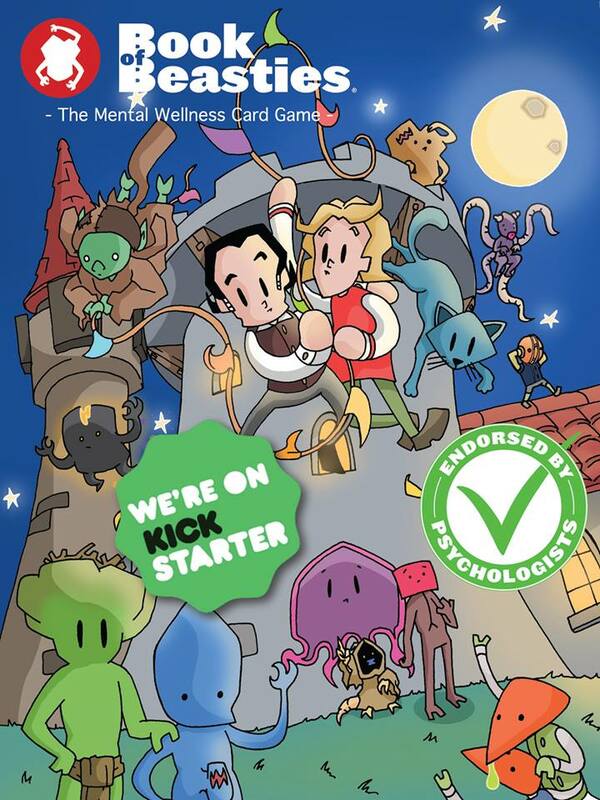 No, it is not a fantasy themed game, but a card game aimed at helping children express any mental health issues they maybe experiencing. The tag line to this game is “The mental wellness card game.” This caught Jared’s eye because his wife teaches children with learning difficulties and some have mental health issues. We want to promote initiatives like this one. They could not provide us with a review copy on the day, but said they would send one in the post. Look out for our review on this one. 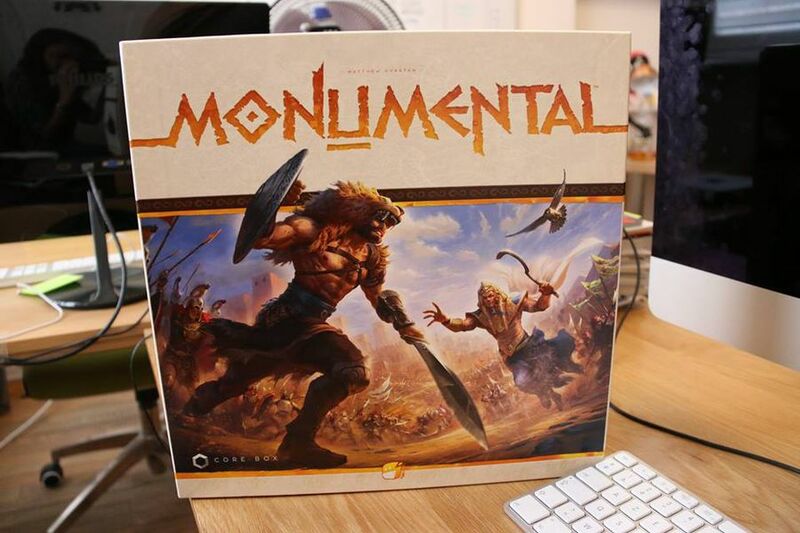 One game that did catch my eye was one called “Monumental” published by Funforge. This game is only going to be sold via Kickstarter. 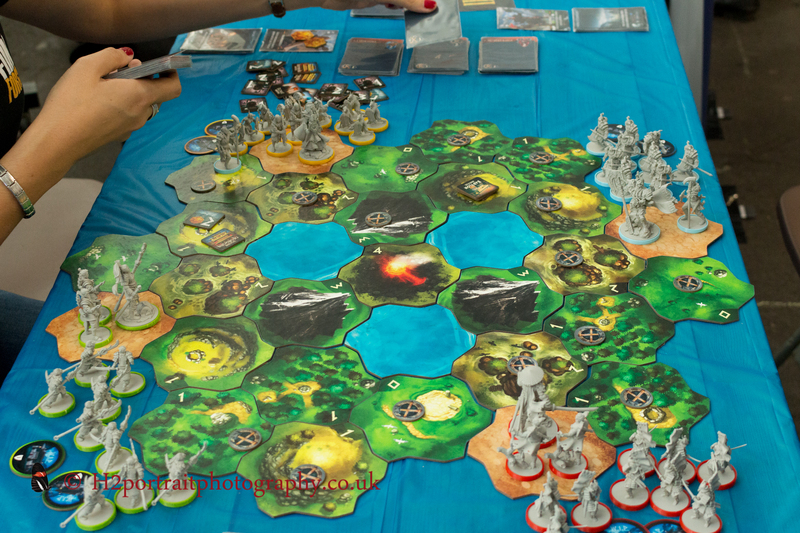 I listened to an outline of the game and it was ticking a number of mechanics/features that I like: variable player powers, area control, resource management and deck-building. There are two versions one with and another without miniatures. 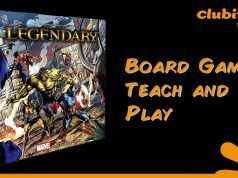 An up and coming Kickstarter project from Monumental by FunForge. This one has minatures. 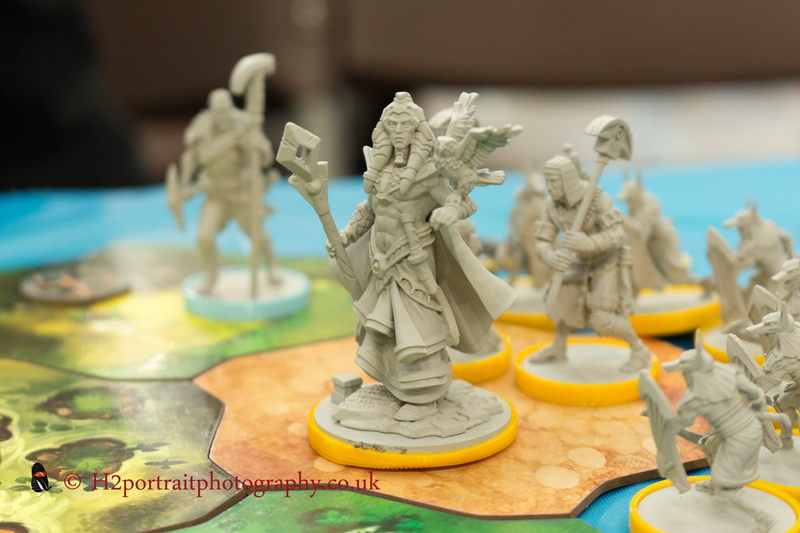 A close-up of one of the minatures from ‘Monumental’. Whilst listening to the French representatives, I could not help thinking that I had heard of this publisher. 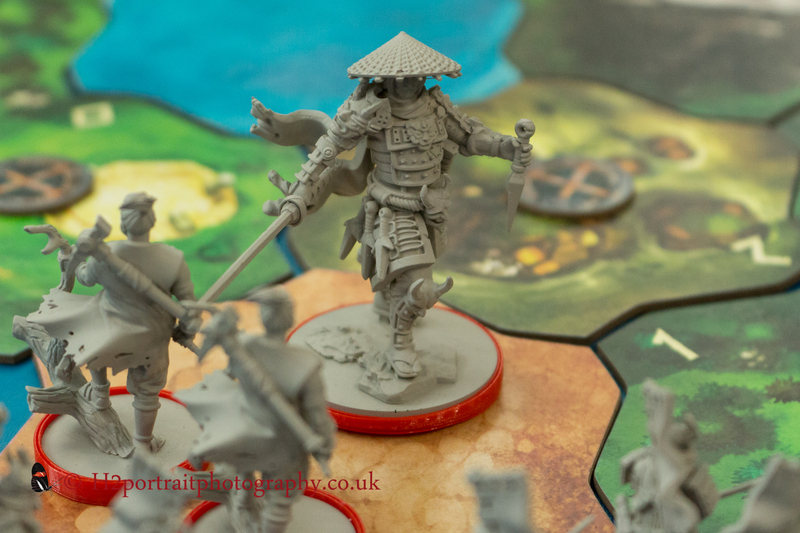 When I had an opportunity, I looked them up and there were three games they had published that I had heard of: “Tokaido”, “Professor Evil and the citadel of time” and (a not very well know game) “Samurai Spirit”. The latter is a game is one that I would like to play because it is based on one of my favourite films, “7 Samurai” a film that spawned a number of copies over the years including the “Magnificent 7”. The game even uses a names of some of the warriors from the film. After speaking to French people, I always have a desire to find a genuine patisserie and enjoy a few crepes. 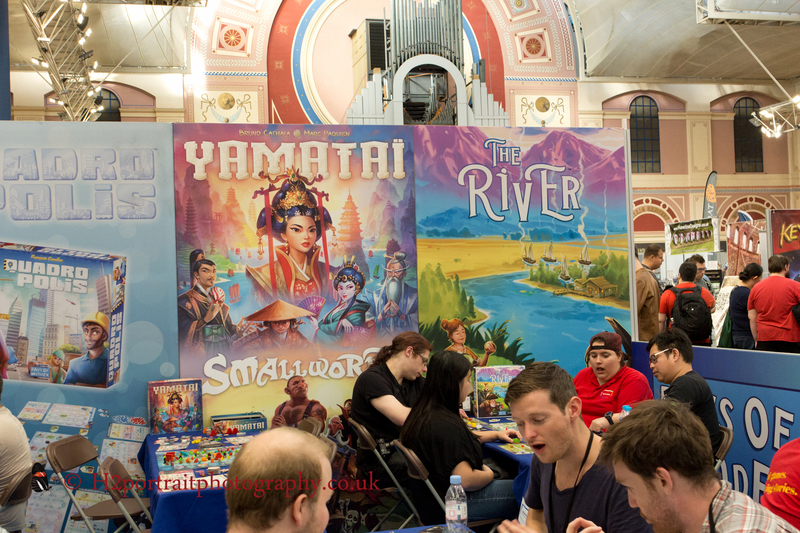 This being my third board game convention, it was good to see a publisher called “One Free Elephant”. I had met them at Airecon earlier in the year. 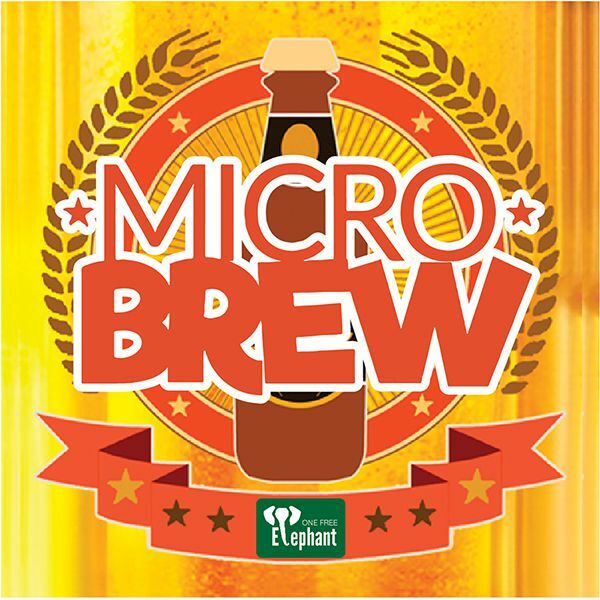 They are looking to publish a game called “Microbrew” at the end of March ’19. It looks interesting and not because it is about beer, but because it is theme that has not been over done like so many others. Another ‘gimmick’ is everything fits into a tin about the size of two decks of playing cards stacked on top of each other. Down at the Days of Wonder stand. Jared and I did find a slot to play his newly purchased game, “The Great Western trail” and I sneaked in a game of Keyforge, published by Fantasy Flight Games, a much anticipated game from “Magic the Gathering” designer, Richard Garfield. I was thoroughly beaten by my opponent, Adam from Modiphius Games. Even though this happened, I know full well that this can happen with a game of this kind. The next time the way the cards fall is far more favourable to you and your opponent is crushed. I will need to play this game many more times before I can form a reasoned opinion about it. This will not happen in 2018 as it will not be in shops until early next year. All I can say for now is the mechanics of the game are slick, games are pretty quick, I do like the artwork and when you pull off a combo the results can be sweet for you and really annoying for your opponent, in this case, me! ADAM (shouted in an Admiral Kirk fashion)! If pushed, I am not sold on this game at this moment in time. I will not be rushing out to buy it upon release. This may change if someone loans me their deck and the matches prove to be more back and forth rather than one sided. There are many other player vs. player games in my collection that have the tussle feel over the steam roller one. A load more games to try before you buy. In conclusion, a number of positives and areas for improvement (as already mentioned). This is a good start, a few more publishers and a lot of word of mouth and blogs like this publicity should increase the footfall as people hear about this. We only found out about it because one of my gaming buddies subscribes to Tabletop Magazine. A good location with free parking, easy access to public transport and in a place with history, we will have to see where this convention goes and how it grows. I am not sure the £10 entry fee will endear itself to visitors as any bargains you pick-up is offset by this and the travel costs. Then again, it depends what you after. There was loads of space to play any games you purchased and plenty of them on display to try. Because it was not heaving, you could find a game to try. Only time will tell if this convention becomes a regular on the calendar. We hope that it will. We will be there for the next offering in 2019 with a slightly different game plan: talk to publishers, look for a good buy and try as many games as possible. If you were there, please leave your impression of the convention in the comments below.